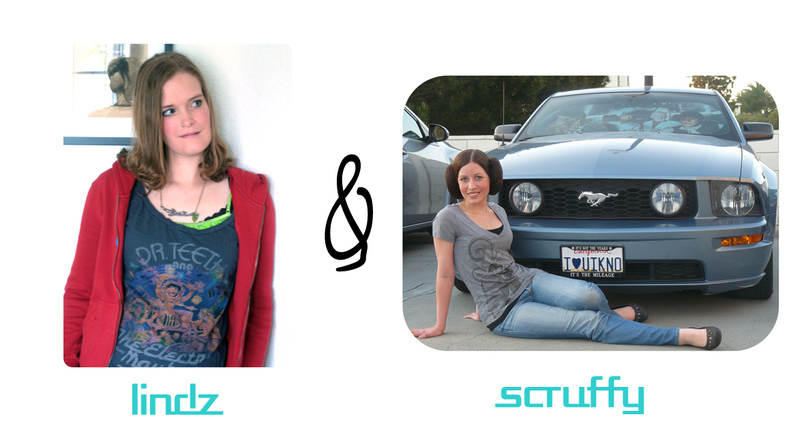 We’re Lindz and Scruffy, two geek girls with a passion for style, GEEK STYLE. Geeks have always had their own style, but the public is just barely starting to notice and cater to that style. We’re still very much left to our own devices when it comes to awesome geek-inspired clothing, jewelry and home decor because it just doesn’t exist! Yet. We created Set To Stunning to share and highlight all the handmade stylish geek products out there, where you can buy them or make them yourself, as well as the new and wonderful official products out there that are just MUSTS to have! It might be “cool” to be a geek right now, but let’s face it, it’s ALWAYS been cool. But thanks to the current popularity of all things geek, we now have more products than ever before that specifically cater to our geeky sense of style. Lindz and Scruffy are here to be your guide in all things geek chic! It’s time to get your geek on. I hope that we’re able to give you lots of inspiration. If you do come up with some great outfits, let us know! Great site. share more related posts. Holy crap, Scruffy, where did you get that car sun shade???? I *LOVE* it!!! Thanks! I bought it a couple years ago. They were sold online at the Star Wars Shop when starwars.com still had their own online shop. But unfortunately they closed their online shop last year and the shade has been sold out. But you can keep an eye out on eBay or on Google to see if other online shops have stock to sell!